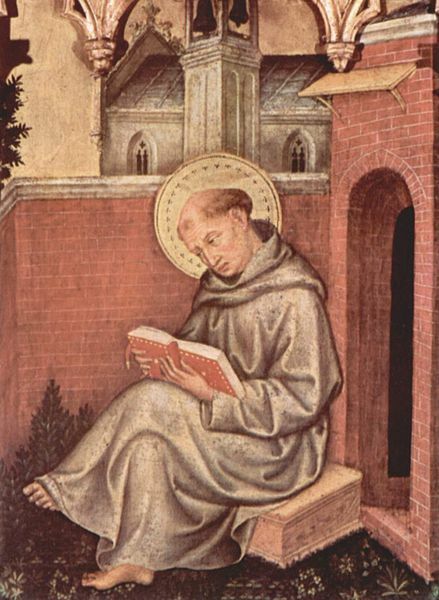 Thomas Aquinas, also known as St. Thomas Aquinas, is one of the greatest theologians of all time. Born on the 28 of January, 1225, into an established family, his cousin being Fredrick Barbarossa. At the age of nineteen he decided to join the Dominican Order, and after a year of imprisonment and many an adventure, he became the Roman Church’s greatest apologist. He ended up writing eight and a half million words, in various works, such as the Summa Theologica, and his hymns he wrote for the Roman Mass. His great love was Aristotle, and he determined to prove that this brilliant ancient philosopher had much truth to impart to the modern Christian world, at a time when most of the Christian world was reluctant to study Aristotle for fears of his incompatibility with the Christian faith. Thomas eventually died on March 7th, 1274, but his works and name lives on. He is honored not only by the Roman Church, but also by the Lutherans and the Anglicans, and many still read his great works in support of Aristotle and the Christian faith. “You call him the dumb ox, but in his teaching he will one day produce such a bellowing that it will be heard throughout the world.” Albertus Magnus, then the Chair of Theology at the College of St. James in Paris.